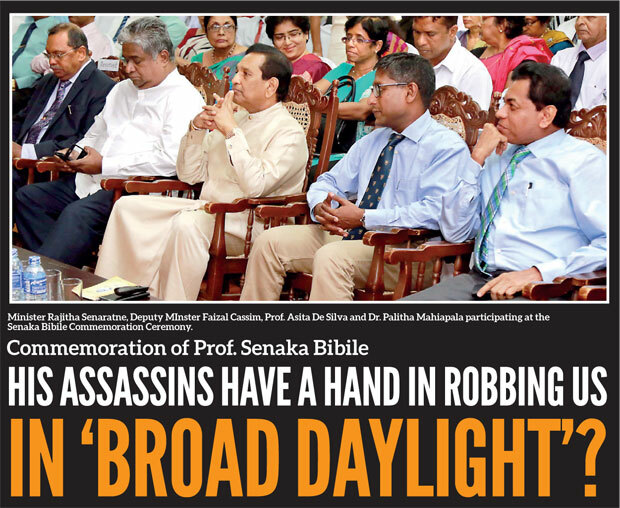 Daily Mirror - Commemoration of Prof. Senaka Bibile: His assassins have a hand in robbing us in ‘Broad Day Light’? 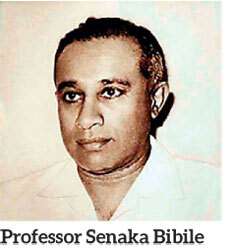 Commemoration of Prof. Senaka Bibile: His assassins have a hand in robbing us in ‘Broad Day Light’? ‘Is it going to actually benefit patients or is it only a political gimmick?’ Questions the Dailly Mirror Editorial on 26th instant.” There’s a huge heap of evidence to confirm that the pharmaceuticals industry is untrustworthy at best, and scandalous at worst; still they are the spinal column of our corrupt ‘health services’. The Bureau of Investigative Journalism US, for decades have investigated and publicized the criminal actions of these giants, but the companies have been getting away with them. 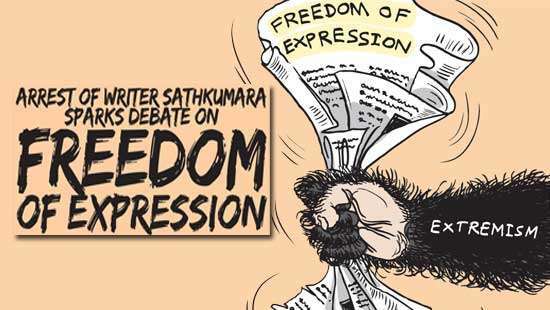 We said a firm no to the second part of Editor’s query because it is not a political gimmick, but Day-light Robbery! Health Minister Dr. Rajitha Senaratne, Chief Guest at the Senaka Bibile Commemoration held at SLFI on September 23, chose the occasion to honour the late Professor by presenting the first phase of his Ministry’s new Medicinal Drugs Policy. The Minister stated that Prof. Bibile who left the island on a UN-sponsored mission to introduce Rational Pharmaceuticals Policies in third world nations had to return to the island in a small earthen-ware pot. We are all fortunate that only his sacred ashes were deposited under the commemorative plaque supposingif the great man was watching the proceedings, and hearing the so-called ‘implementation of first phase of Bibile Proposals’ presented on the occasion, he would have been shocked and surprised and in horror and disgust might well Turn in His Grave over the uses to which his great dreams have been put in. 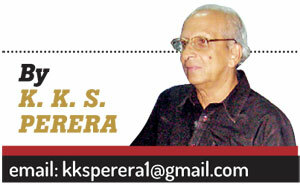 Dr. Asita de Silva who ‘Slashed the prices’ of 47 drugs is the new Chairman of (NMRA). 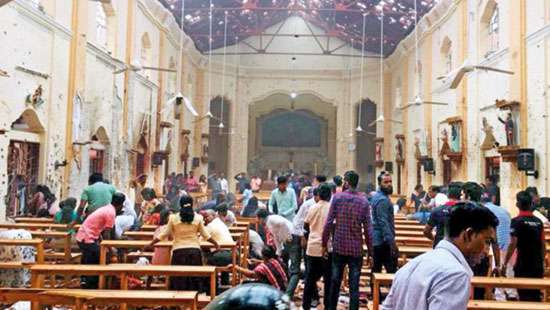 He succeeded the staunch Bibile-policy followers, Professors Laal Jayakody, Chairman and Krishantha Weerasooriya, CEO, a former Regional Advisor to World Health Organisation on Essential Medicines, (both were sacked by the Minister). Dr. de Silva who spoke at the commemorative event ‘enlightened’ the audience on how he sweated and toiled on his one-and-a-half-month assignment -- explaining how he used the selling prices (arbitrarily fixed by the dishonest importer?) to calculate the median. (Even if the ‘185% of the cost’ rule was applied, they would always fraudulently enhance the CIF value in connivance with the deceitful supplier) He, in fact, opened a Pandora’s Box on that fateful evening soon after the minister garlanded Senaka Bibile’s portrait. Would the people get exposed to all the illnesses that mythological Gods have hidden in that Box? The Billion-Dollar Question: GENERIC or TRADE name? Next, why couldn’t they compile a list of essential drugs to be directly imported and exclusively by the State Pharmaceuticals Corporation? Would they ever find answers; we need to make the public aware of Big Pharma ‘operations.’ Lack of awareness is the most rational explanation. The swindlers prosper under general public’s ignorance on three issues. Firstly, the extremely injurious properties of superfluous ‘medicines’ they use; billions lost in foreign exchange and the incomparable gains that the nation could achieve under proposed reforms. Let us focus on a few well-established facts of the Transnational Medicinal Drug Industry’s ‘well-researched immoral activities’. The Big Pharma would create a new drug for a particular ailment, and purposely add a harmful ingredient which could cause dangerous side effects. The authorities responsible for highlighting the dangerous side effects of the product are already on their pay-list, and would ensure prompt registration at country of origin, as well as at importer’s end. The manufacturing company would not release it to the market until they develop a counter-active product to treat the side effects of their own ‘original’. The Transnational would go through all the channels spending lavishly on all ‘stake holders’ that include the Medical practitioner, politician, drug authority official, until this original reaches the unsuspecting patient who only pays an unbelievably low price for it. The second phase is obvious; here the poor victim has no option but to depend on his Doctor’s costly prescription written under Brand name to cover all costs incurred by the company in bribes paid down the line plus exorbitant profits for the Mafia. Thus is the morally disgusting disrespect for human lives by the TNCs. Prescription Drugs are the Third leading cause of Death after Heart disease and Cancer -- says,Peter Gotzsche in his latest Best-Sellerentitled, ‘Deadly Medicines and Organised Crime: How Big Pharma Has Corrupted Healthcare’; Gotzsche exposes the pharmaceutical industry’s sham of fraudulent conduct, in research and marketing. The book discusses, in detail, an unusual system failure due to extensive crime, bribery, corruption and impotent drug regulation in need of far-reaching reforms. Their ethically filthy disrespect for patients is exposed in this work. The author draws a close comparison between them and tobacco giants, revealing the amazing truth behind their work to confuse and divert the attention of public and authorities. “The main reason we take so many drugs is that drug companies don’t sell them, they sell lies about drugs. This is what makes drugs so different from anything else in life...”, says a review on the work. “The reason patients trust their medicine is that they extrapolate the trust they have in their doctors into the medicines they prescribe. The patients don’t realise that, although their doctors may know a lot about diseases and human physiology and psychology, they know very, very little about drugs that have not been carefully concocted and dressed up by the drug industry...If such a hugely lethal epidemic had been caused by a new bacterium or a virus, or even one-hundredth of it, we would have done everything we could to get it under control.” - (From the introduction to the text). It is not only Gotzsche who accuses pharmaceutical companies. In Australia, during the Vioxx class action court case brought against the company, the company emails released did reveal that they planned to neutralize and discredit doctors who condemned the drug. According to The Australian, an employee of the company wrote, “We may require to seek them out and demolish them where they live”. It appears that, stubborn physicians were under attack to lose academic engagements and financial backing for research; all for telling the truth about the dangerous side effects they observed. “…We like to imagine that medicine is based on evidence and the results of fair testing and clinical trials. In reality, those tests and trials are often profoundly flawed. We like to imagine that doctors who write prescriptions for everything from antidepressants to cancer drugs to heart medication are familiar with the research literature about these drugs, when in reality much of the research is hidden from them by drug companies…. We like to imagine that regulators have some code of ethics and let only effective drugs into the market, when in reality they approve useless drugs, with data on side effects casually withheld from doctors and patients.”How it all Began? At a time when allegations were levelled against Pharmaceutical companies that they are making considerable profits by selling drugs under the trade names, giving out bogus information about the branded drugs as against the generics, Senaka Bibile strived to develop a rational pharmaceutical policy intended to ensure that poor people would get quality drugs at a low price. Further, the agenda aimed towards guaranteeing that medical profession prescribes the minimum essential drugs to care for the patient’s sickness. A cautious selection of drugs was a vital component of his policies. 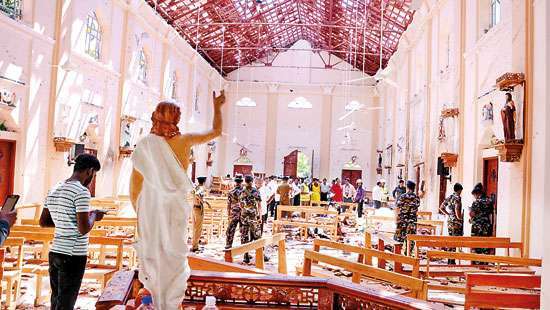 He was asked by the Health Minister to attend to this and he prepared the Ceylon Hospital Formulary of about 630 drugs specifically under their generic names. Subsequently the National Formulary Committee (NFC) was formed -- it consisted of representatives from the private and public health sectors. The Medical Schools formulary committee was set up with Prof. Bibile as its first chairman. The NFC prepared Formulary Notes for the use of practitioner, which was later named The Prescriber. ‘Anatomy of an Epidemic: Magic Bullets, Psychiatric Drugs, and the Astonishing Rise of Mental Illness in America–2011’ -- by Robert Whitaker. In his astounding revelation, award-winning science writer investigates a medical mystery: Why has the number of mentally patients in the US tripled over the past three decades? This plague is spreading swiftly among America’s children. He confronts readers to think over that query by themselves. Author investigates about the biological causes of mental disorders. He questions; do psychiatric drugs treat ‘chemical imbalances’ in the brain, or do they, in fact, generate them? …and what to do about it ? Dr. Angel reveals exactly how new brands are introduced to market. Pharma mafia, she shows, habitually rely on state funded institutions for their crucial research; rig clinical trials to make their goods look superior than they are; and they hire legions of lawyers to stretch out state-granted exclusive selling rights (patents) for years. They also inundate the market with copycat products that cost more than the drugs they imitate but are no more effectual. Referring to UShealth care systemsshe says, “I think that there is no doubt that we are caused to believe blindly that we have an excellent health system .. that we have sophisticated testing, hospitals that are beautiful ... but if you really want to get to the bottom, what you want to find out is how healthy is the population...our health care organization is no more than a front organisation to the drug companies.”(of course, she refers to United States). Only the super rich whose prescriptions are packed with the above mentioned high-priced brands, (which contain the same ingredients as the low-cost Generics), would be benefited with 50% reduction as claimed (at the cost of the poor man). The MRP fixed in collaboration with the Pharma Chamber, (drug importers association) caste doubts why the learned Professor used the Media instead of more rational or logical ‘weighted average’ method. The things we read here are spoken by professionals who were linked for a long period to the medical and health services. The media has a sacred role in keeping the public informed: drawing the attention of Politicians would have little effect. Could we have faith in our doctors blindly as we normally do? What happens when we clearly identify a mix between the interests of the pharma industry and prescribing their products to patients? But there are many great medical professionals that really consider the well-being of the patient, and still, as long as this slim line linking the wish to cure the sick and the obvious monetary benefits that draw from it turns out to be unclear, we have a real problem, who pays the price? …and what to do about it?